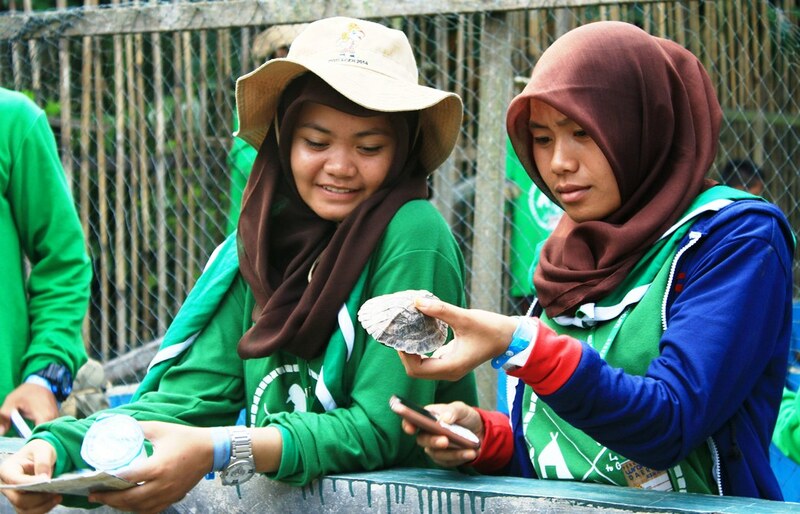 Hundreds of Participants of Aceh Scout Camping Week Learn Painted Terrapin (Batagur borneoensis) Conservation at our headstarting facility from 23 September to 28 September 2014. At headstarting facility, students scout watching documentary movie about our nesting patrol, learning biology, ecology and conservation of Painted terrapin carried out by us, how to raise the hatchling at headstarting ponds, playing games and icebreaker facilitated by our staff. About 1200 students scout that take become participant in Aceh Scout Camping Week are come from 23 districts of Province of Aceh. From that total number, more than of 400 scout or one third of total participants visited our headstarting facility located in Village Sidodadi, Subdistrict Kejuruan Muda, District of Aceh Tamiang, Province of Aceh. 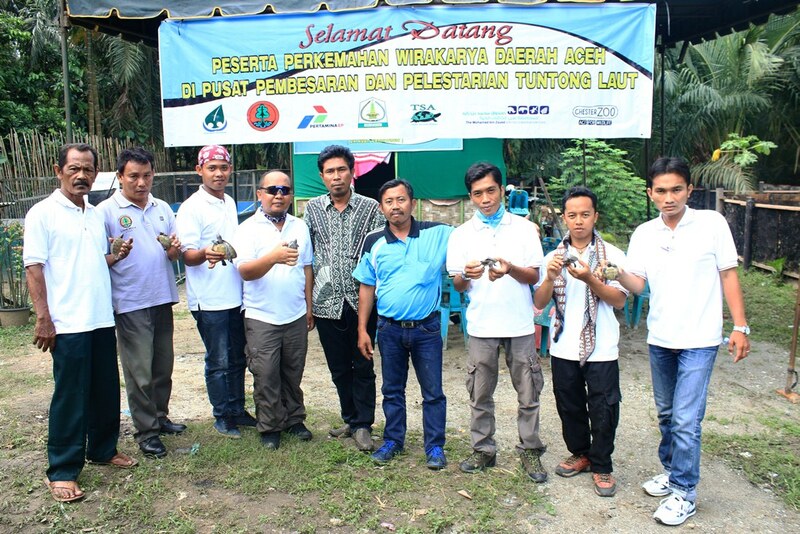 In this Aceh Scout Camping Week that was held on 23 to 28 September 2014, Painted terrapin (Batagur borneoensis) – a critically endangered freshwater turtle species – become an icon or mascot. Painted terrapin (Batagur borneoensis) was choosen to be a mascot by Aceh Tamiang to increase public awareness to save this species from extinction. According some surveys, included carried by Satucita Foundation, from researchers, this species has been extincted in some locations in east coast of Sumatera. 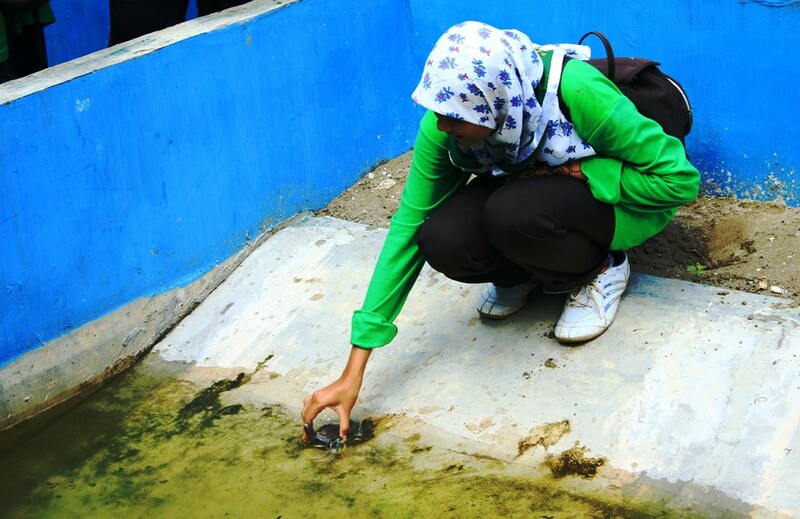 Aceh Tamiang is believed to be the last stronghold for this species.